I recently posted a job for our rapidly growing team and I had a couple of conversations with some applicants and it brought to light something I had never thought about. As a military spouse, her resume was quite fragmented. Moving all over has it's benefits but it can leave your resume looking a little sketchy without an explanation. Real Estate has opportunities that allow you to have a portable career. Once you get your real estate license in one state, you can refer business to other real estate agents around the world. So if you are looking for a career that can follow you no matter where you go, send me a message. 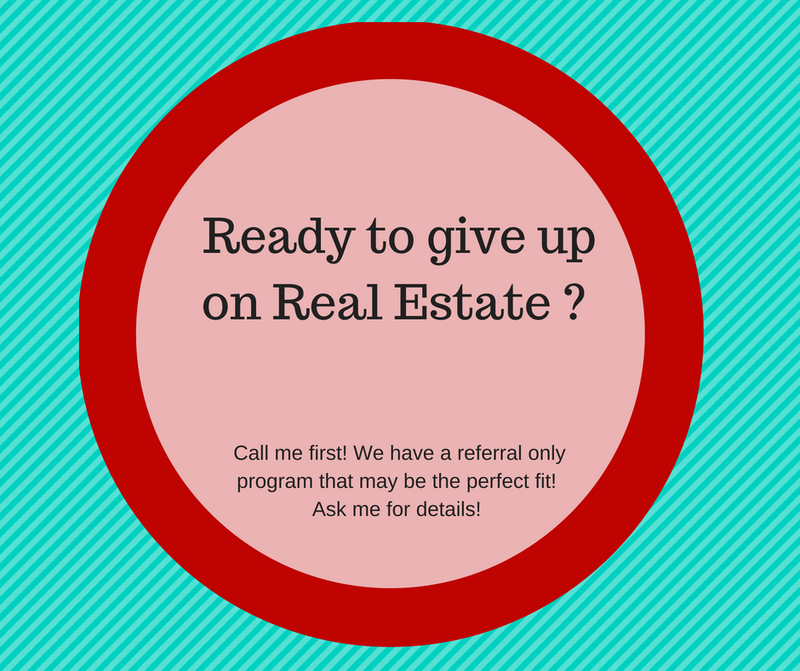 I would be happy to share how real estate can provide a great career and multiple income streams. There's a list of things that we're not supposed to talk about in polite conversation, right? And money is one of them. But sometimes things need to be said and we have to get real and get honest because when we do we can help other people save money or make more of it. The former is the reason for this post. The online course I recommend, and the course we follow in our office when we teach the live version of the class, is Rockwell. It's not cheap. It runs approx. $489 plus tax. That face you're probably making now is the same expression I see on the faces of many of the people I meet with during career orientations. And some of them look at other education providers, many of which are less expensive than Rockwell. So why do I recommend such a relatively expensive study program? It's really, honestly because I think Rockwell is the best. That's all. The curriculum is comprehensive and strong; you get access to online courses AND textbooks with quizzes and final exams; and their test prep (the CRAM section and 12 sample exams) set you up for success on the real thing like no other system I've reviewed. I have had students who chose one of the less expensive options succeed on the exam. But more often than not, I'll get an email or call from them because they're frustrated by the material or because they took the licensing exam and failed after weeks or months of studying. They then usually end up paying for the Rockwell courses, so when it's all said and done they've paid the $489 plus another $200-$300 for the other course and a failed licensing exam. Not a huge savings after all. As always, feel free to leave your comments and questions below or watch my 1+1=4 Math Video here. Thanks and I'll check back in here again soon! Hi there! I did a quick video to share how I doubled my business in 2016. You can watch it by clicking here. If you have any questions or comments—maybe you’ve also set ambitious goals for yourself and want to share how you achieved them—please post them in the Comments section below. I’d also love to know what other topics you’d like me to write or create a video about, so feel free to share those here as well. I’ll check in here again soon. Thanks for stopping by!